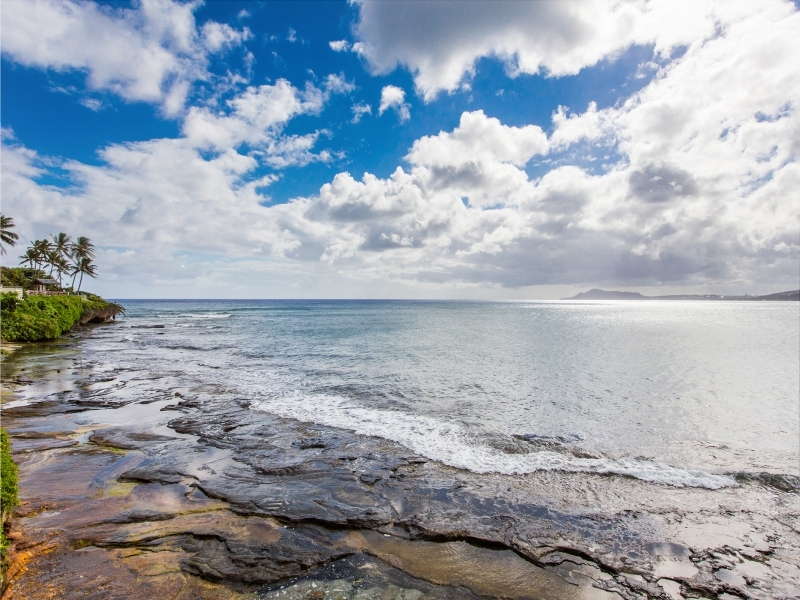 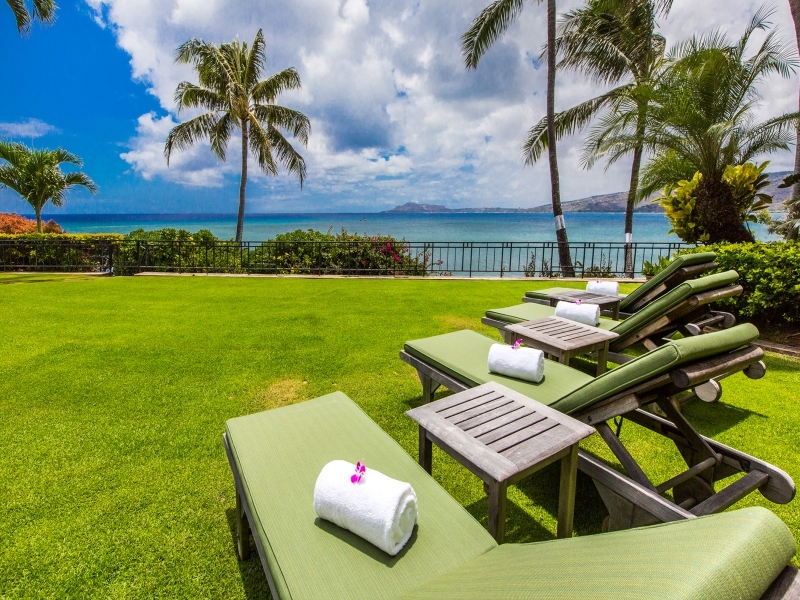 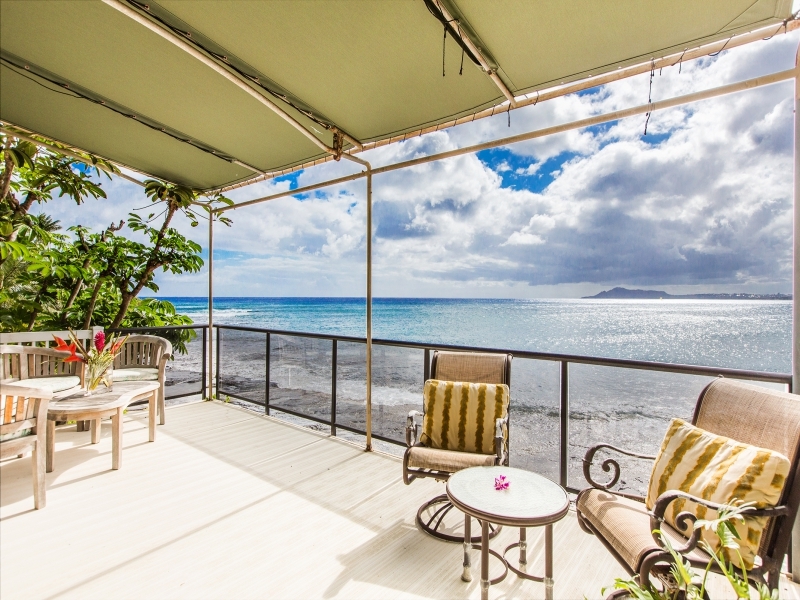 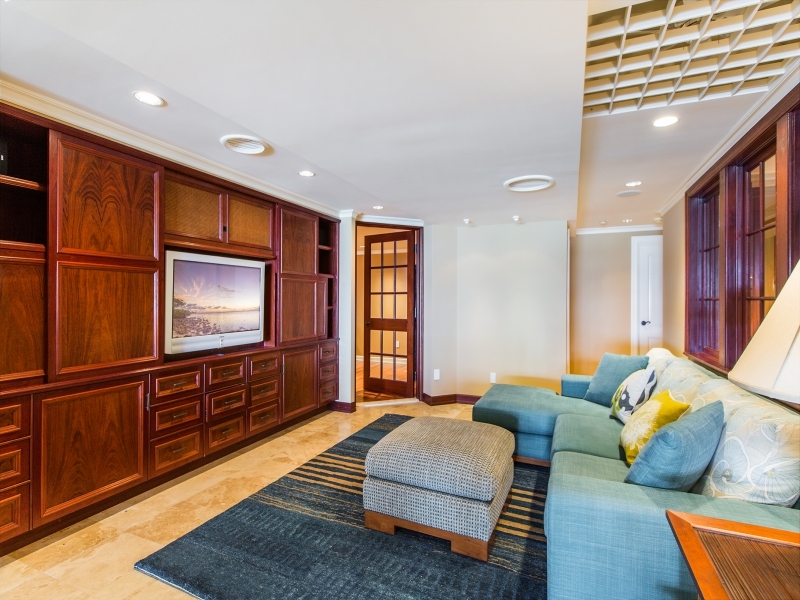 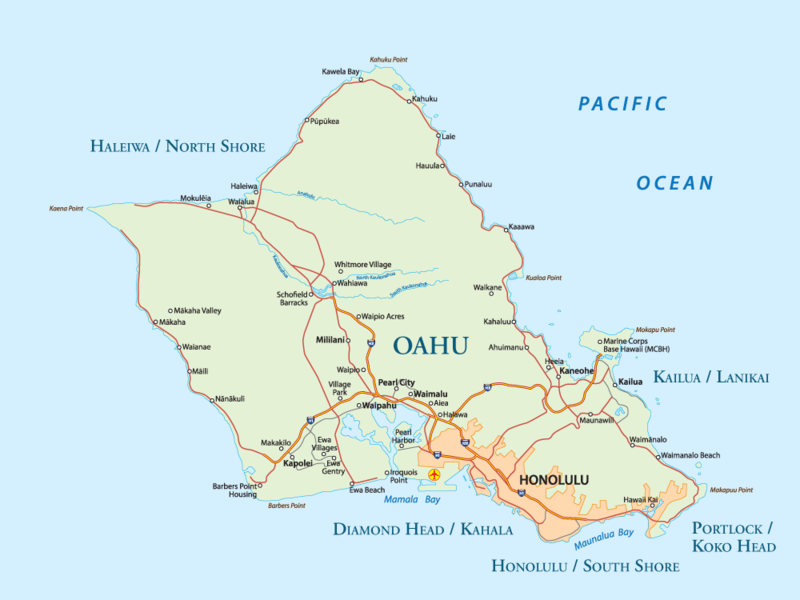 Hawaii Kai Oceanfront – Luxury Vacation Homes, Inc. 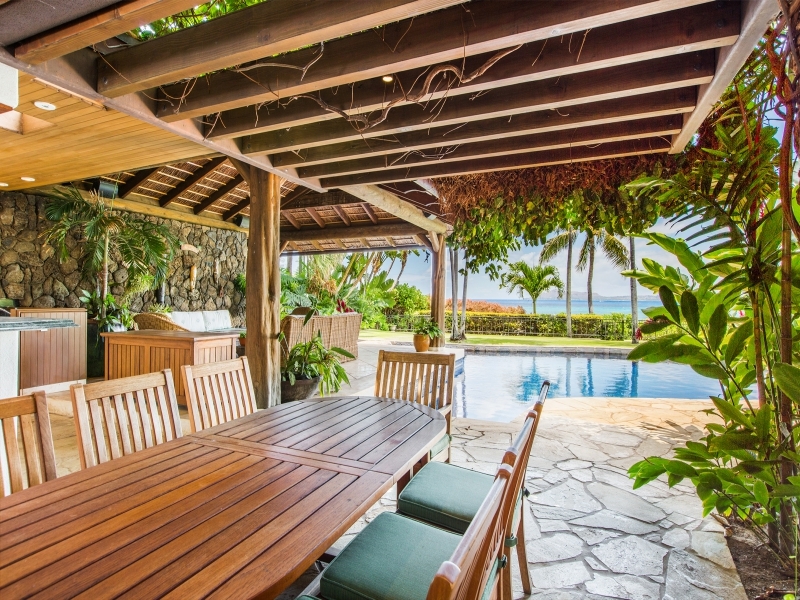 Through the unassuming front gate lies a spacious and private paradise. 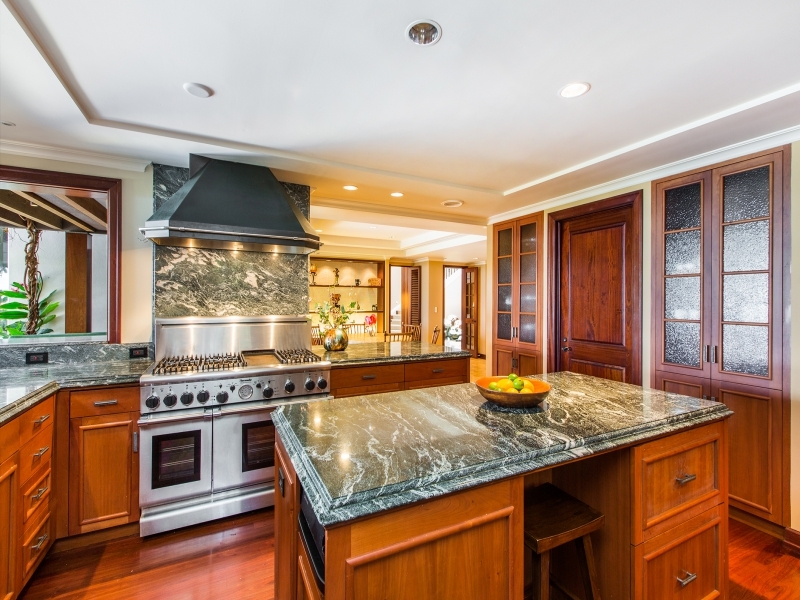 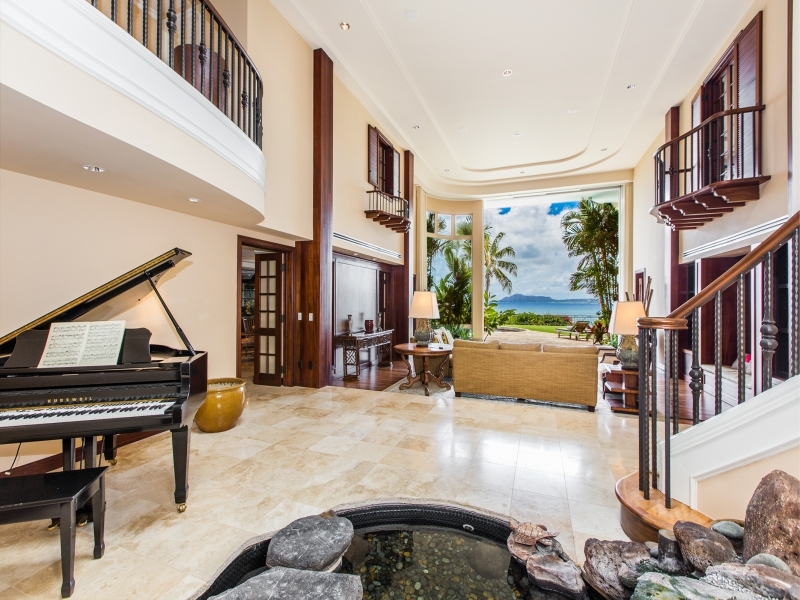 A grand and comfortably appointed home boasts nearly 10,000 square feet of living space. 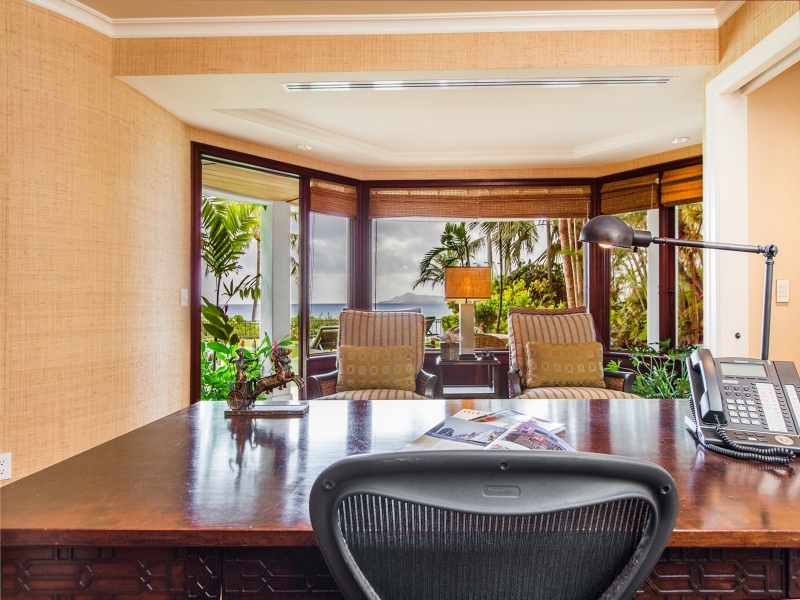 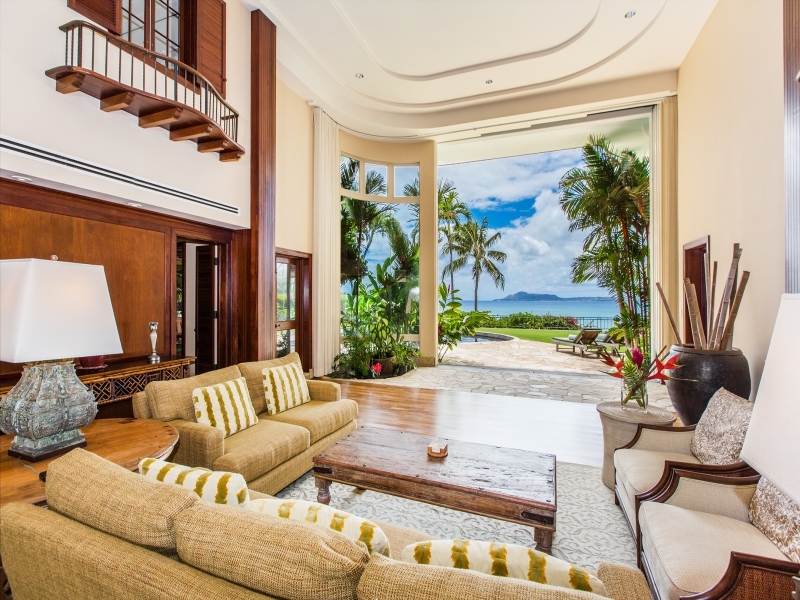 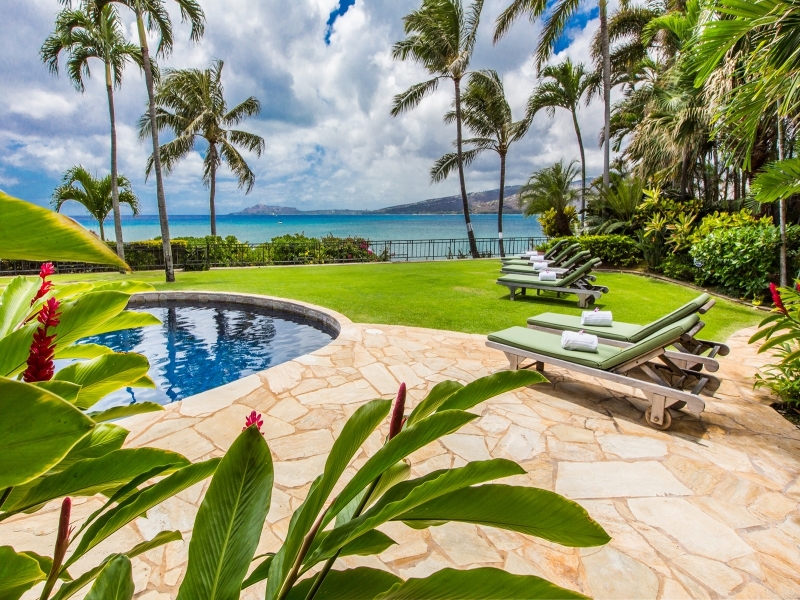 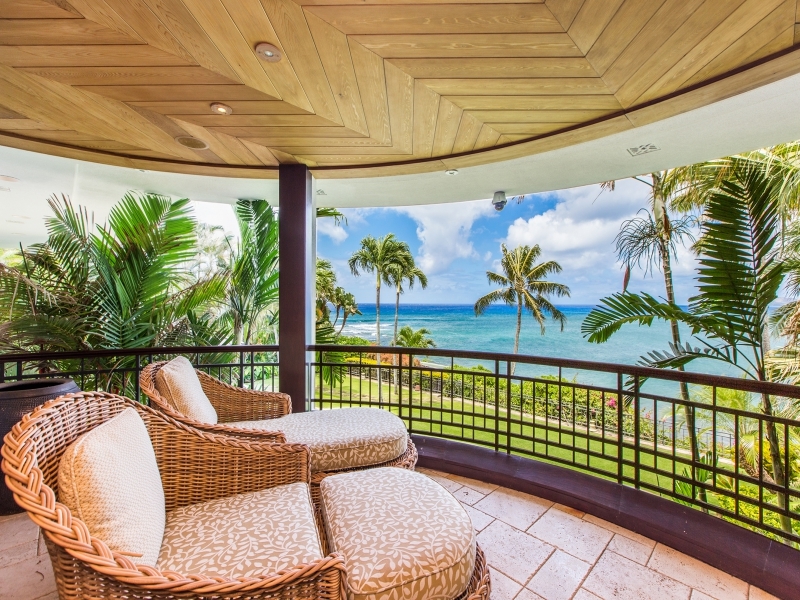 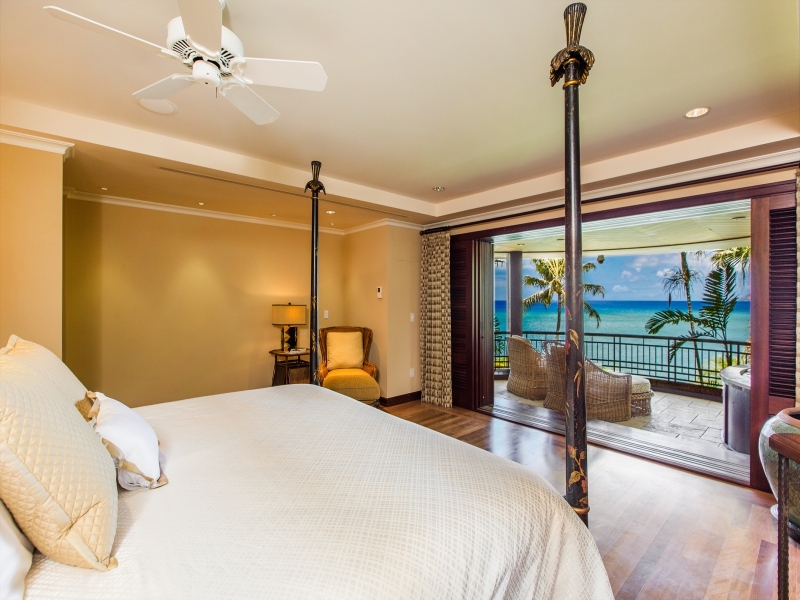 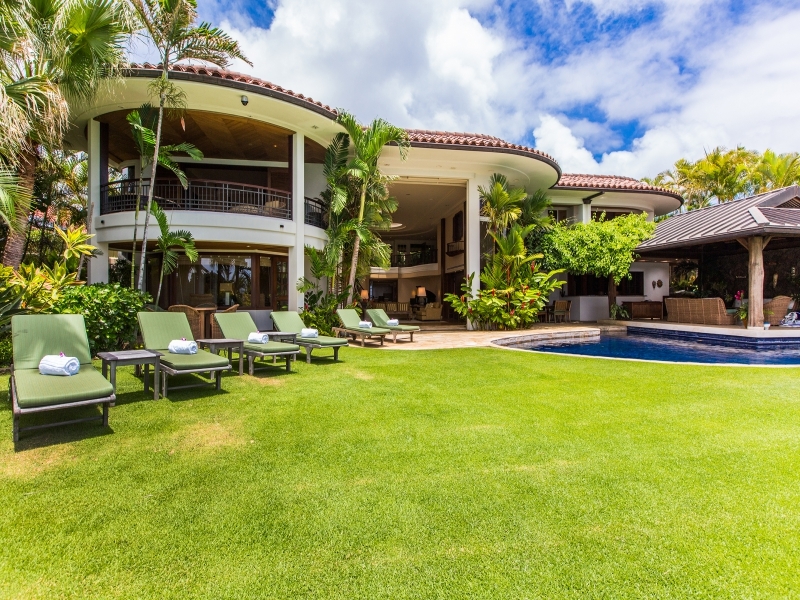 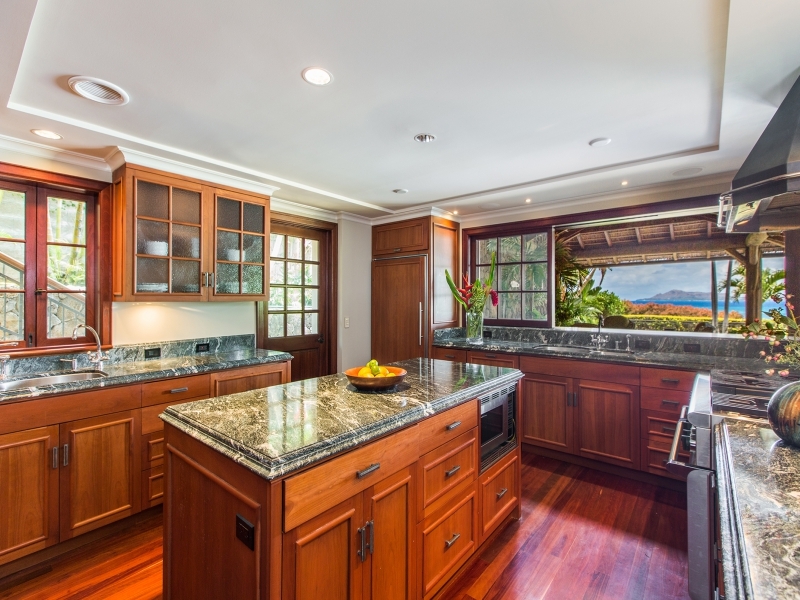 Hawaii Kai Oceanfront has 6 bedrooms and 6.5 baths that are privately spaced throughout the four corners of the home. 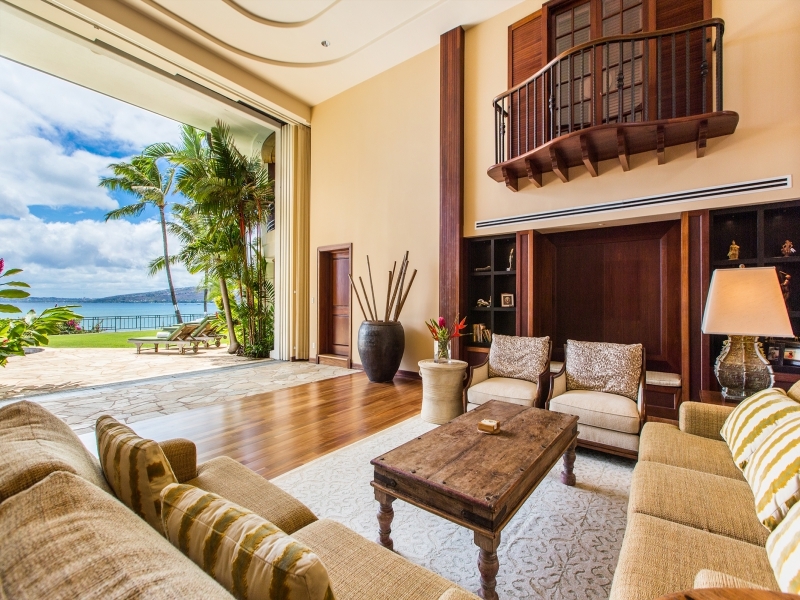 Front and center is a great room with sliding walls that open up to spectacular ocean and island views from 117 feet of linear ocean frontage. 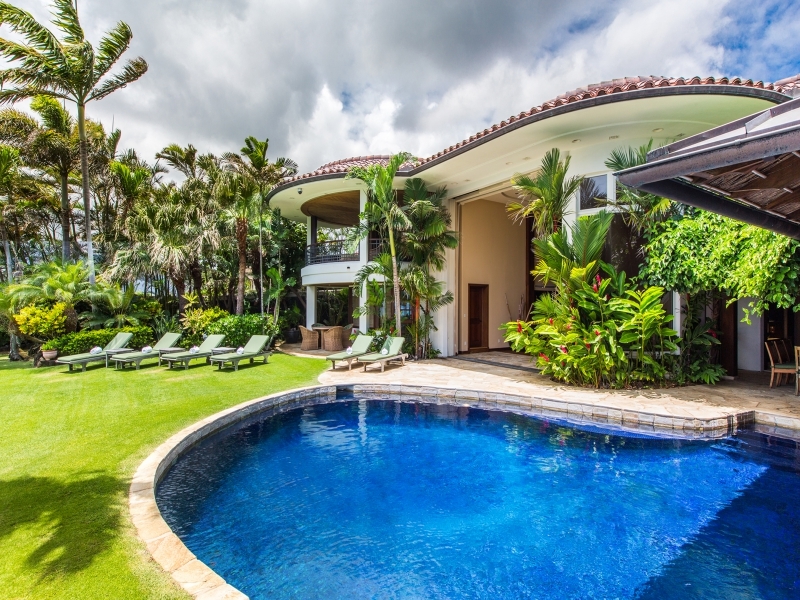 A sprawling green lawn with six lounge chairs meets a lagoon-style pool with bubbling spa and waterfall. 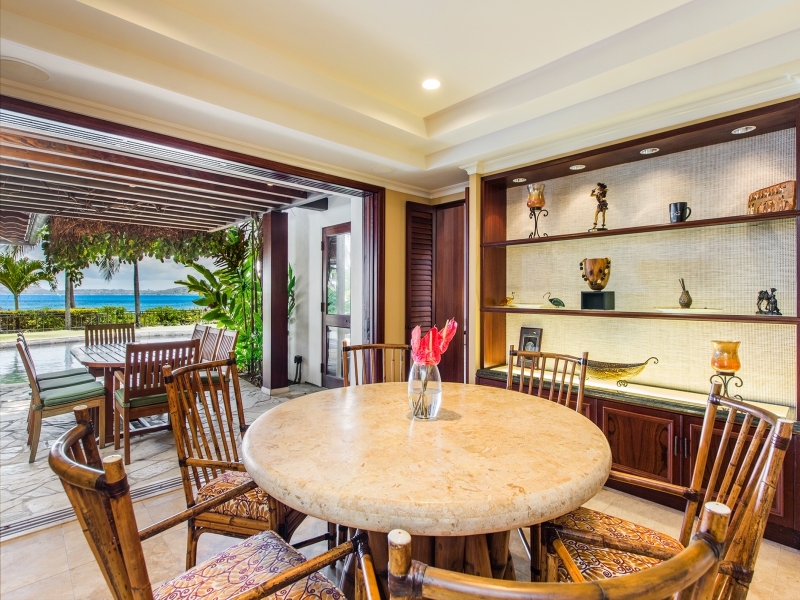 Comfortably lounge poolside under the spacious Balinese-style pavilion where you can entertain and enjoy al-fresco dining at the outdoor dining table, wet-bar and lounge area. 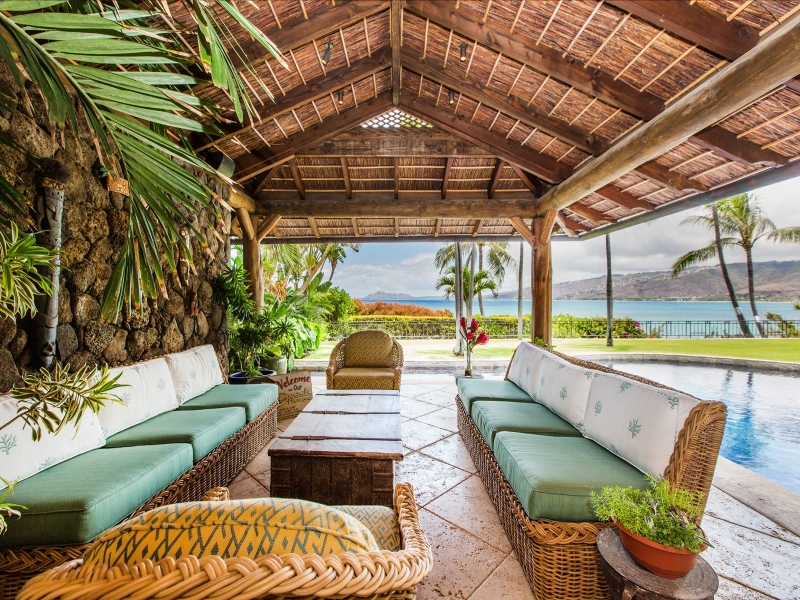 Beyond the lawn are stairs leading down to a private deck where there is a tiki bar and hangout spot with a bird’s eye view of Maunalua Bay. 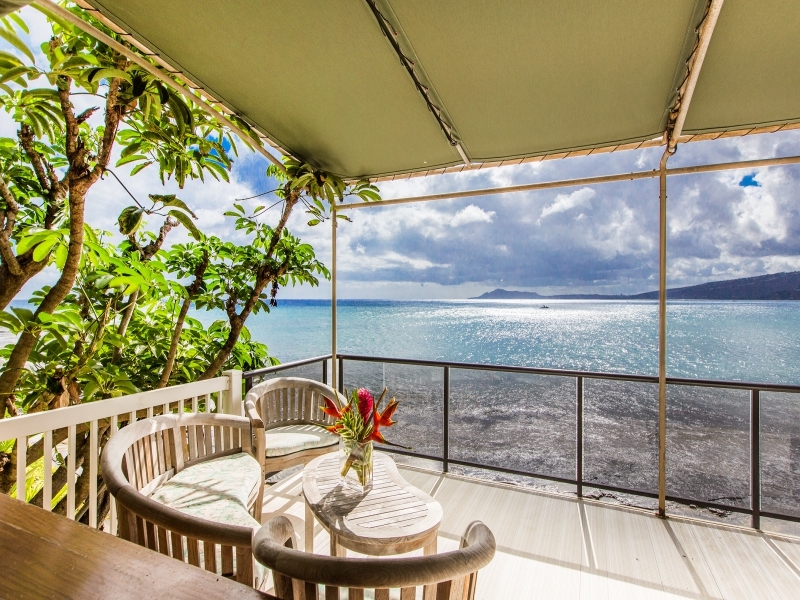 From here, you can also access the tide pools and ocean below via a private gate. 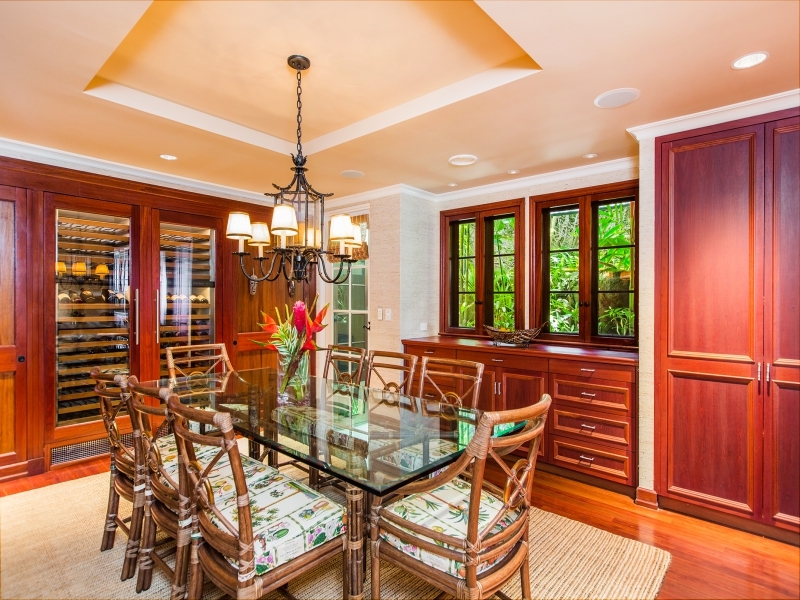 Just inside is the casual dining room, kitchen, formal dining room with seating for 10 and the family room. 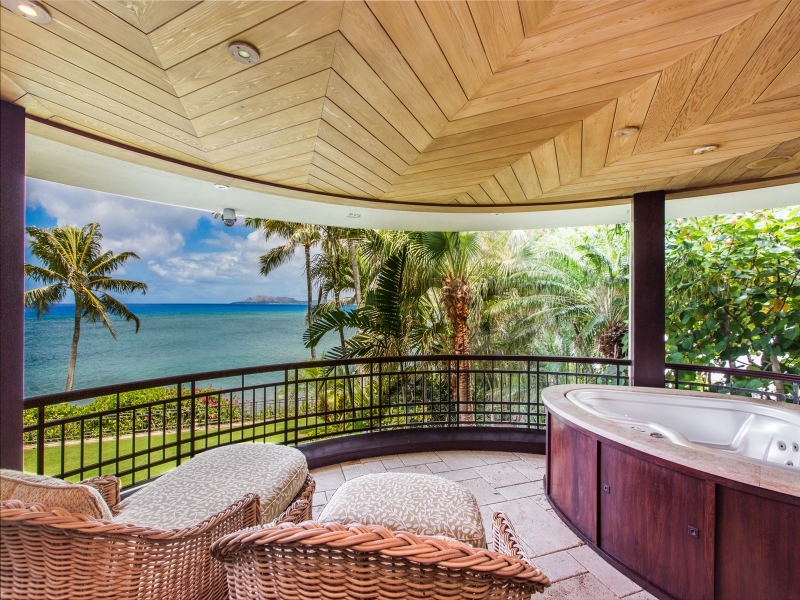 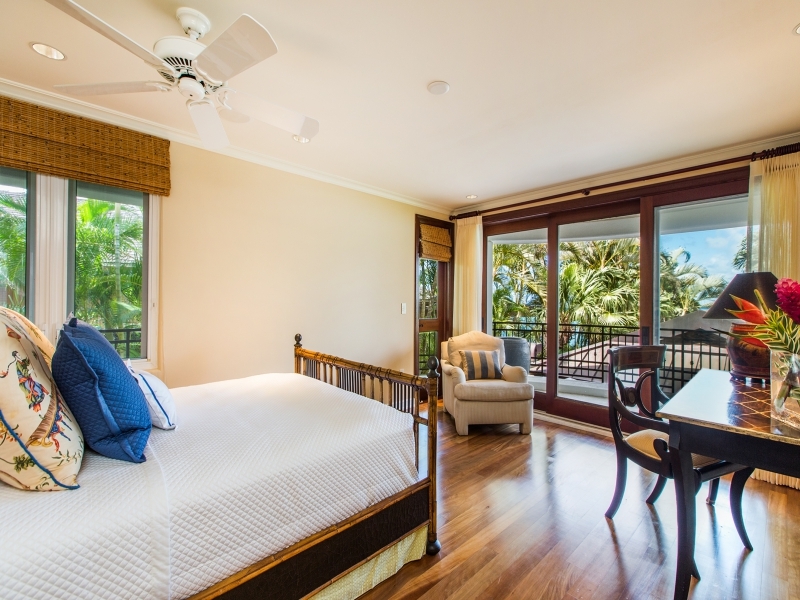 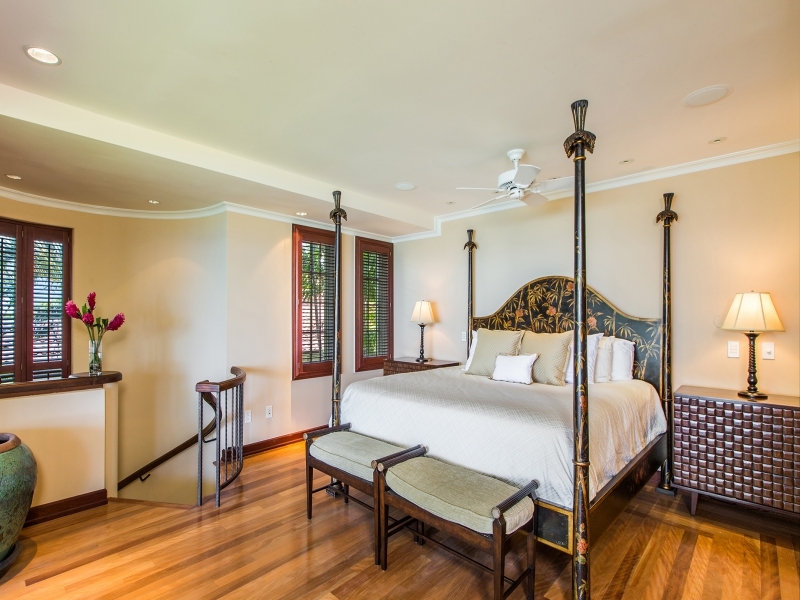 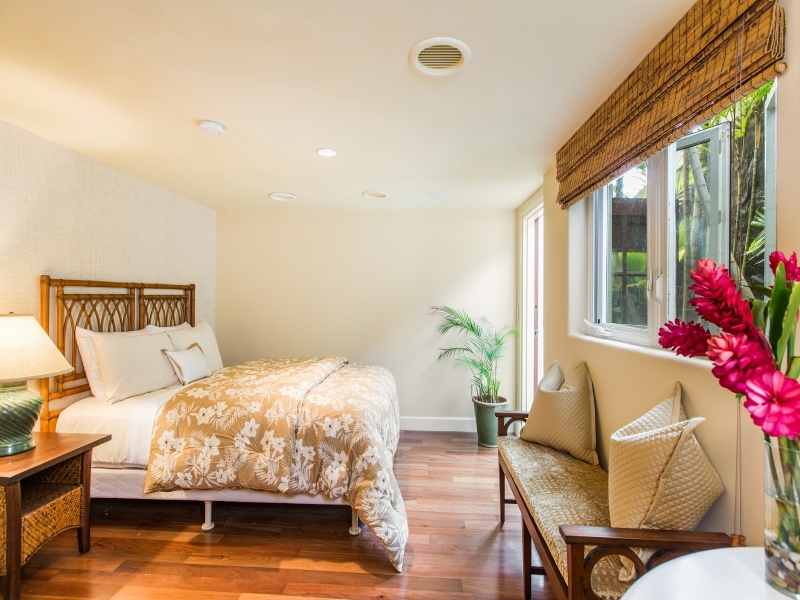 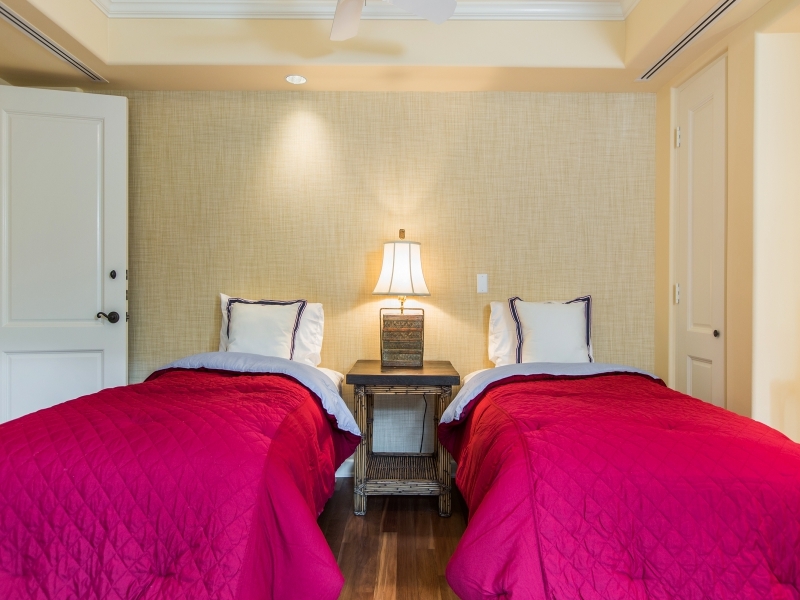 The master suite features a large covered lanai with private hot-tub and ocean views. 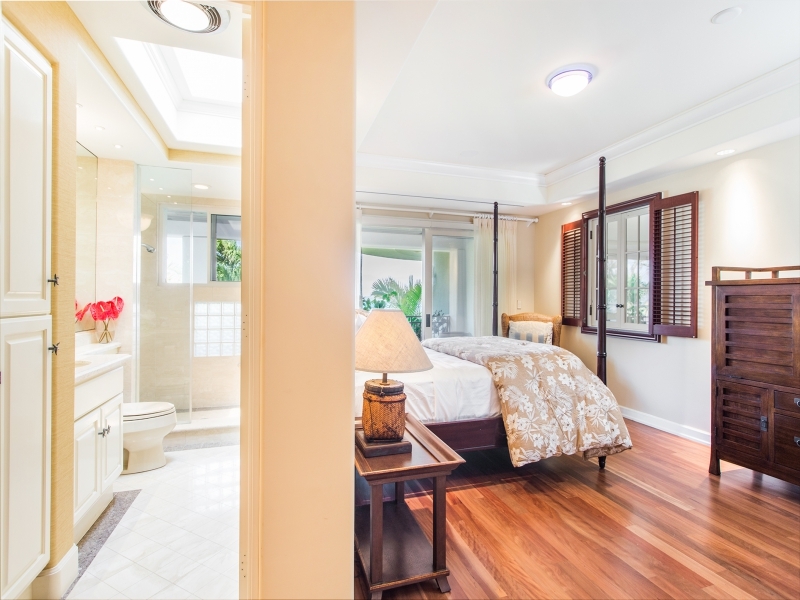 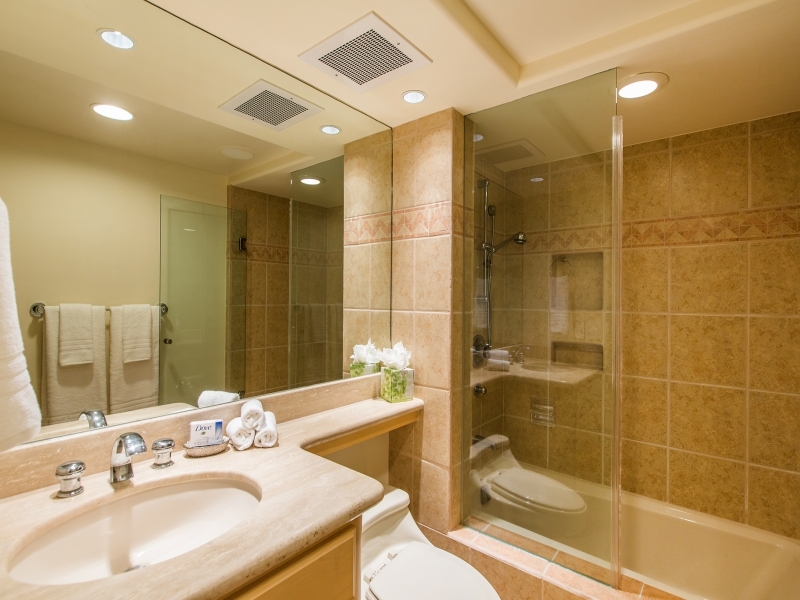 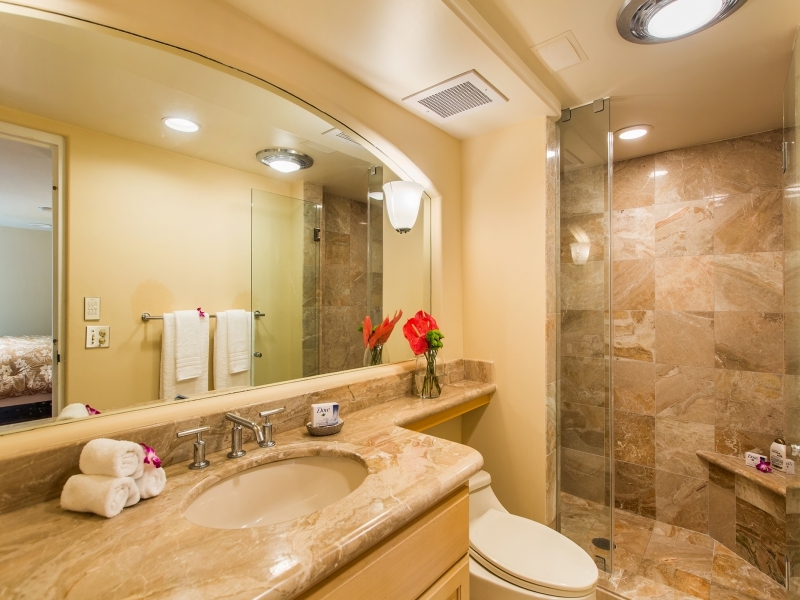 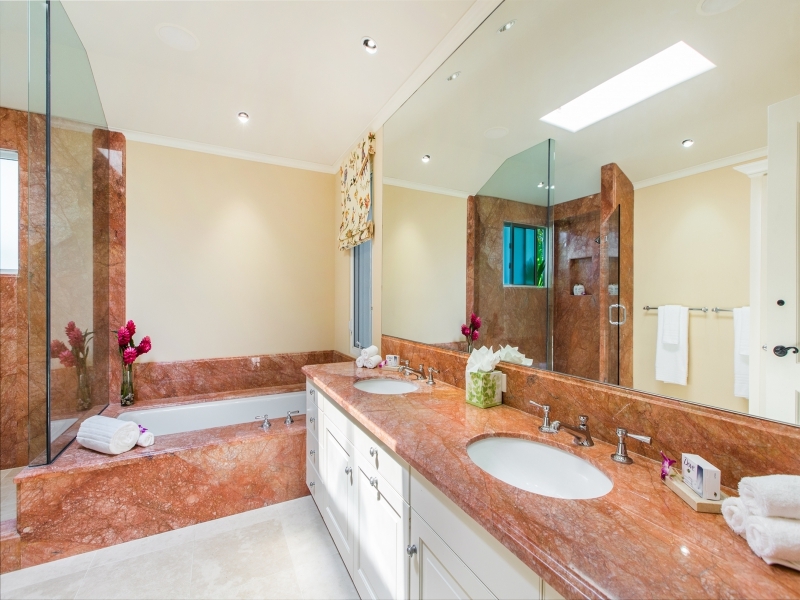 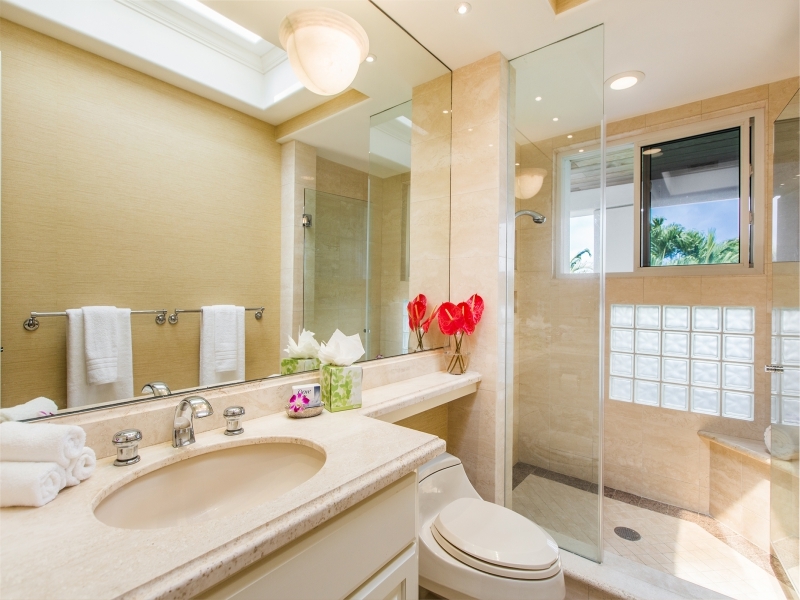 An oversized en-suite bathroom has a large tub, steam room, and spacious walk-in closet. 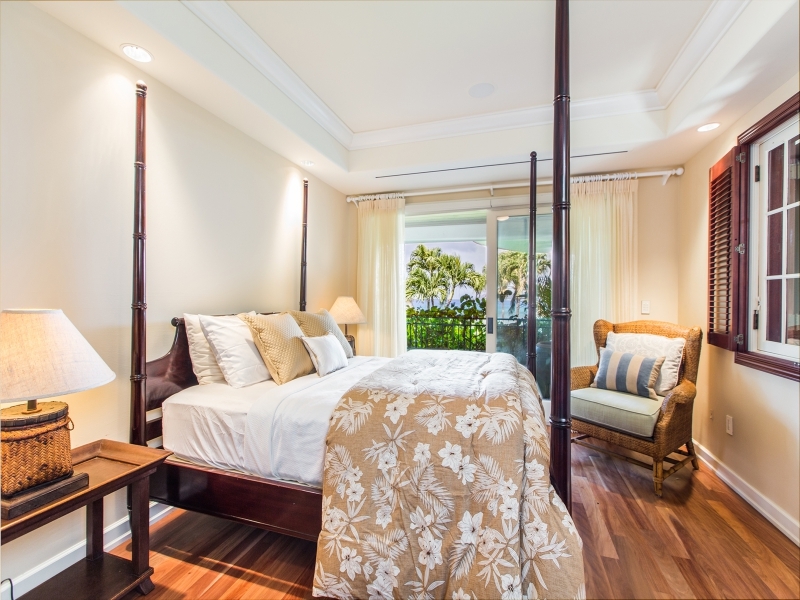 From the master suite, there is a spiral staircase leading down to a private office, perfectly tucked away from the rest of the home. 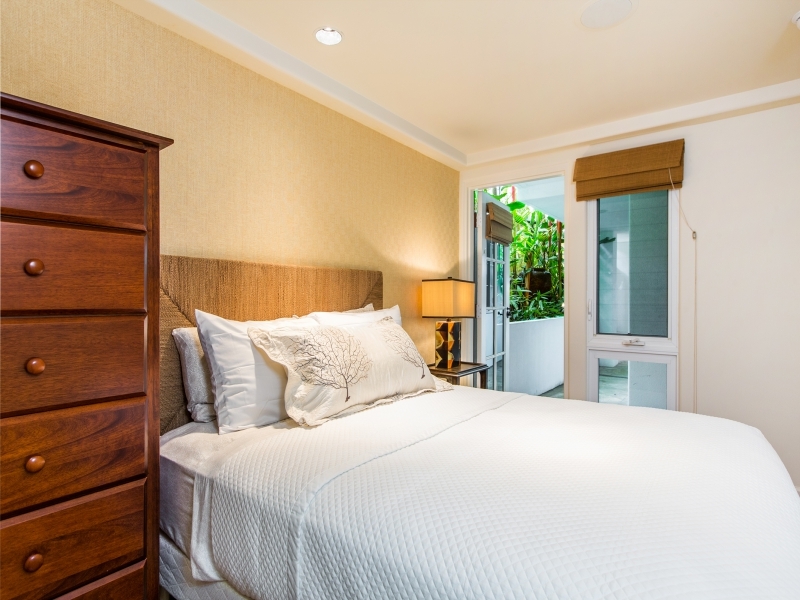 A downstairs bedroom features a private outdoor entrance, perfect for a maid’s quarters or guest suite. 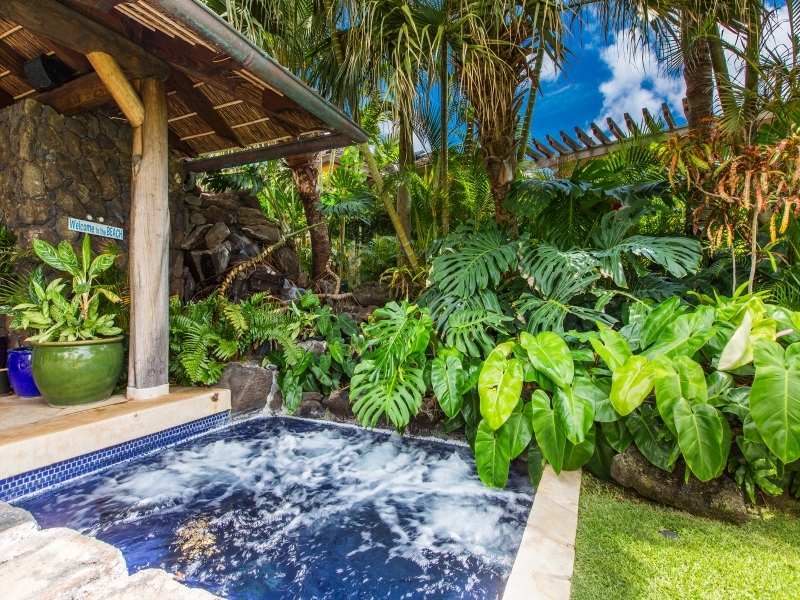 Privacy, space and comfort abound in this tropical paradise! 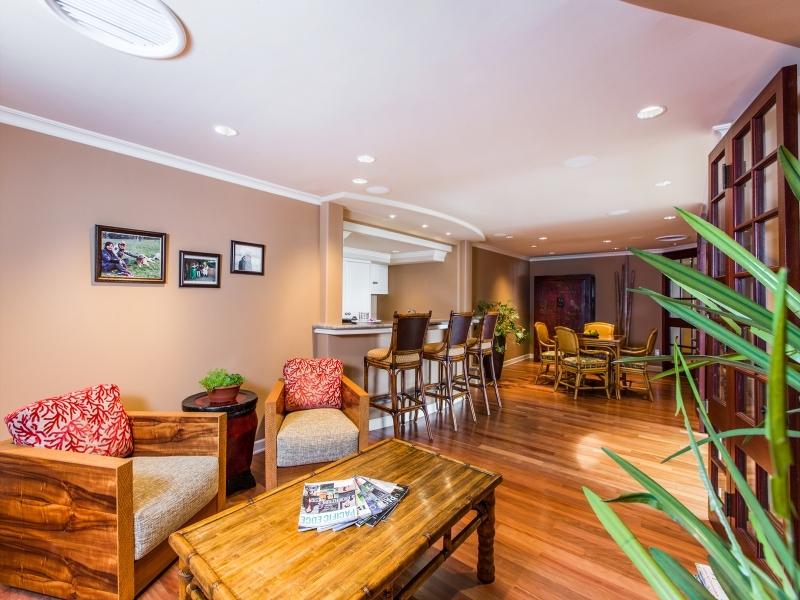 Perfect for a large extended family or a group of friends. 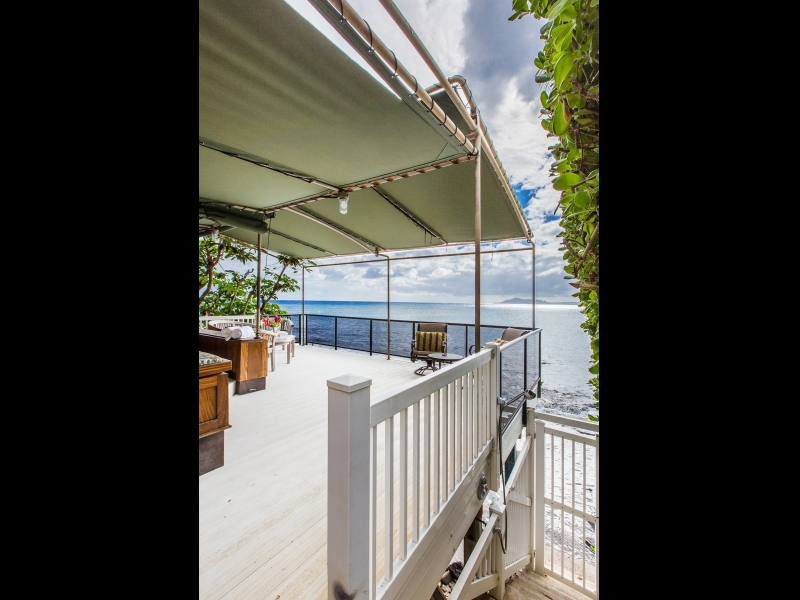 This home offers a cozy comfort seldom found in a beach estate while at the same time providing beautiful views, outdoor island living and easy ocean access. 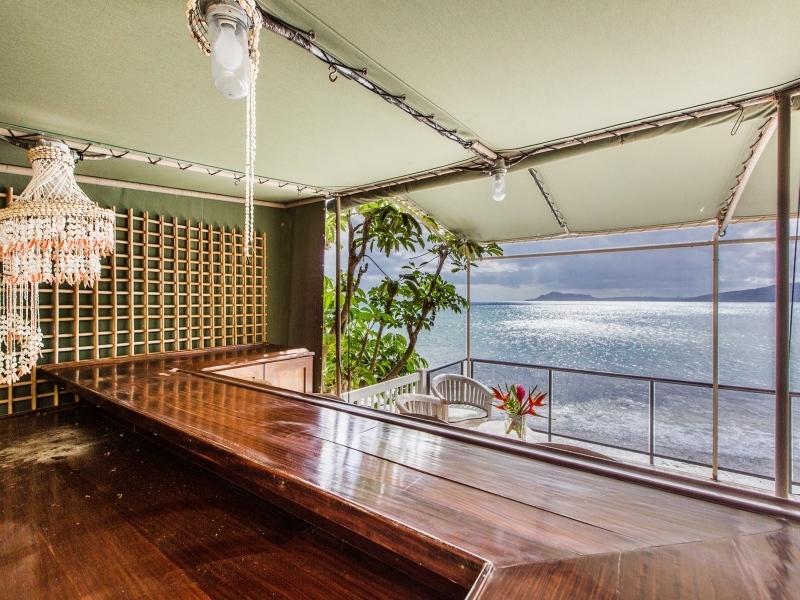 Relax and let your imagination set sail as you drift away with the tide into the dreamy orange sunsets. 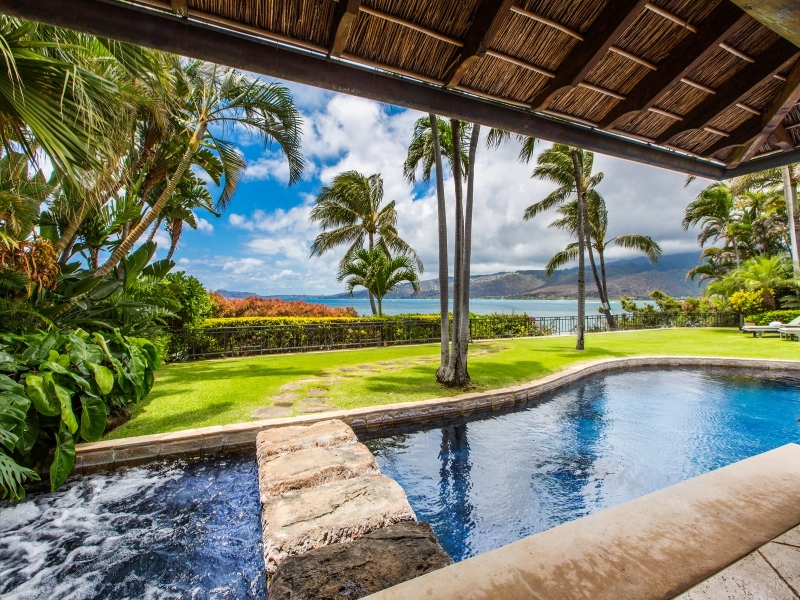 There is construction going on directly next door to the property.